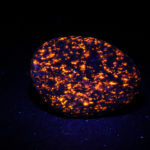 What is making a seemingly innocuous rock glow fiercely yellow? The answer is fluorescence. Specifically – the rock in question is composed of a mineral called “Sodalite”, which is a fluorescent mineral. Read on to find out more! iBiology.org is a fantastic free resource for educational videos, featuring a wide array of biological themes, principles, research topics, and ideas. Popular articles often call things ‘glow in the dark’ that really aren’t. 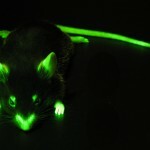 They are actually fluorescent, and that is a wonderful thing. Read this to understand the difference.